Scotland is the third largest producer of Atlantic salmon in the World, and accounts for 94% of production in the EU. Salmon farming makes up most of the Scottish aquaculture sector, which brought in around £1.8 billion to the Scottish economy in 2016, and there is no sign of this slowing down. So much so that the Scottish Government have pledged to increase the industry to £3.6 billion, and double the number of jobs to 18,000, by 2030. 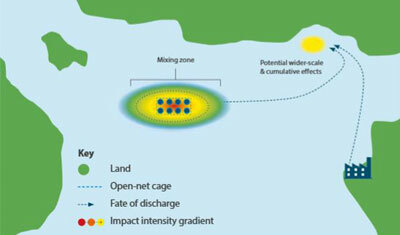 With this increase in production, comes an increase in environmental impacts. Therefore, all eyes – from NGOs, industry and Government – were on the content of SEPA’s draft Finfish Aquaculture Sector Plan, which was released for consultation at the end of last year. SEPA’s Chief Executive, Terry A’Hearn, expressed that this plan “enhanced standards for organic waste” and takes a “strengthened approach for licensing medicines”. A’Hearn also referred to the plan as being “ambitious”, using enforcements in a stronger way compared to their previous approaches, as well as innovative partnerships to progress standards within the industry. Fidra feels that whilst SEPA may see this as a more ambitious approach, there is little detail regarding how enforcement will be genuinely improved, what it will look like and how such penalties will be implemented. As a result, Fidra responded to the consultation asking for a greater level of detail and commitment to transparency throughout the sector. Currently, it is possible to find information on SEPA’s overall compliance classification of farms, outcomes of benthic surveys and measures of chemical use, to list a few measurables  . However, it is not possible to understand the reasons behind the compliance classification (e.g. if ‘poor’ why and what has the farm been asked to do to bring this standard up? ), reasons for why chemicals may have been used in excess of their regulated limits, and what action was taken on the back of these reported results. The draft plan suggests that SEPA will look to introduce enforcement for farms that “persistently fail”. Fidra would like to see that enforcement is used in any case where regulations and / or limits have been breached, and that this information is documented and displayed publicly. Fidra felt that the lack of detail about the proposed increased enforcement procedure was not convincing enough in this instance. In our response to the consultation, another area that Fidra felt required further attention was how farms and industries interact with each other in these environments. 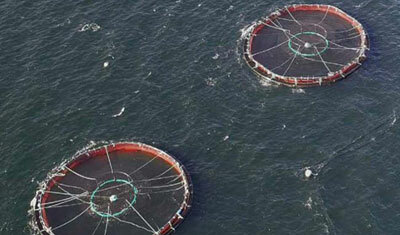 Scotland’s Atlantic salmon farms are sited off the north-west coast, and around the islands, of Scotland. These unique habitats are home to communities and ecosystems that depend on the natural landscape. Increased populations and industry put additional pressure on natural resources and systems. Whilst the draft sector does acknowledge the impacts to some extent, we feel that it does not go far enough to define classification of a ‘small farm’, compared to a ‘large farm’. This could be problematic where a number of small farms sited in a certain area, have an accumulated impact similar to a large farm. Further, it is possible that other industries using natural resources or discharging waste or effluent into local environments, are not taken into account via the monitoring of the aquaculture industry. Therefore, total, direct environmental impacts may not be monitored if industries solely measure their output of medicines, chemicals and waste, for example. Fidra feel that SEPA ought to take a more joined-up approach to monitoring environmental impacts in specific habitats, to genuinely be able to establish a comprehensive understanding of how to best protect Scotland’s natural environment. Ultimately, Fidra would like to see the use of a publicly accessible sustainability dashboard, which monitors the environmental impacts of the aquaculture industry in Scotland. This will allow users of the dashboard to view the compliance and standard of specific Scottish farms and understand the context within which they are working. Fidra looks forward to seeing the results of the draft SEPA Finfish Aquaculture Sector Plan, and hope that our consultation response has been well considered when writing the final edition of this sector plan.